Let us know where and when you would like to travel and we’ll connect you with best suited travel consultants. Get multiple quotes for your upcoming travels and select most relevant option. Chat with travel consultants and your companions to fine-tune your travels. Pay for your travel arrangements using EnvyTrip payment options. Pack your bags, put "out of office" message on and take of for your vacation. In the 45 days leading up to a travel booking (hotel, flight, etc. ), consumers make an average of 38 visits to travel sites. Who has the time for this? EnvyTrip gives you back your precious downtime and while you are enjoying your life, our travel professionals can research all of your travel plans, get you the best prices, and secure upgrades that are not available through Online Travel Agencies like Expedia, Kayak, Travelocity, etc. EnvyTrip’s social feature lets you discover new travel ideas and opportunities you might not have considered, and our agents can manage any special requests including large families or groups, specific interests related to luxury travel, guided tours, or LGBT cultural hotspots. 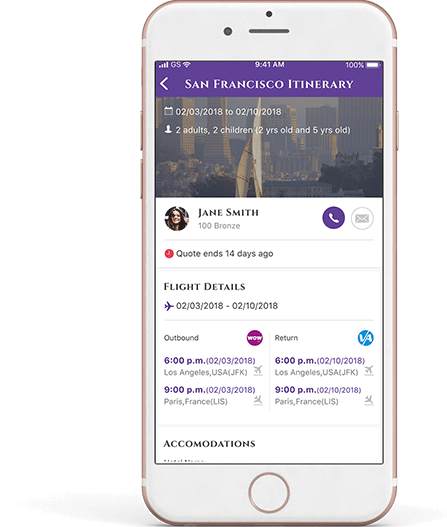 Tap into a seamless vacation planning process with EnvyTrip, a mobile app that connects you with professional travel consultants who do all of the work to research and book your perfect vacation. Not ready to book? Don’t worry! With EnvyTrip you can also just ask for recommendations on vacation ideas that are suitable for you. Using our app or the EnvyTrip website, create your trip, invite your travel companions, and receive expert advice and quotes from our curated network of travel consultants who specialize in the type of vacation you want to enjoy. Receive quotes from travel professionals who will plan out your trip and make recommendations on hotels, airlines, attractions, and more. Communicate with your companions and agents to discuss details of your travels. Review the quotes, select the agent you want to use, have them make your reservations, and pay for the vacation — all through the app. Pack your bags, put the “out of office” message on and, take off on your vacation! Use our innovative interactive itinerary as you go and have a great trip. Don’t forget to share your travel experiences and review your travel agent and amenities when you return. Our robust social media component lets you follow travel agent profiles – much like Facebook and Instagram – so you can learn about new travel destinations, see who is offering special travel deals, get first-hand experience about trips you might be thinking about, and more. Why should I use EnvyTrip? The average consumer visits 38 websites prior to booking a vacation. They are looking for trip ideas, best deals, itinerary suggestions, and more. Why waste your precious time away from family and your job and other obligations when you can have an experienced travel professional do all of this legwork for you. Is there a cost to use Envytrip? We charge a nominal booking fee of 2% which helps us provide the customer service and guidance through out your travels. Do I have to know exactly what type of trip I want to take before I use EnvyTrip? Not at all! You can use EnvyTrip to simply ask for recommendations and ideas of vacation options based upon your lifestyle, budget, travel companions, length of trip, time of year, etc. Then if you like what you see, you can ask for quotes on that trip. What if I decide not to book my trip through EnvyTrip? Don’t worry, our feelings won’t be hurt. You are under no obligation to purchase a trip from us and you will not be charged anything. We are so sure that you will love the ease of having our travel professionals do the planning for you, that we offer this service free of charge to travelers. Is EnvyTrip really better than booking through the Online Travel Agencies like Expedia, Booking.com, Travelocity, etc.? Yes — for a number of reasons! First, when you book through the Online Travel Agencies (OTAs), you still have to do all of the legwork to find a hotel in a good location, check out the flight schedules and compare pricing of the airlines, and more. So in using EnvyTrip, our travel professionals take care of all of that legwork for you. Second, every travel supplier (airline, hotel, car rental company, etc.) needs to pay a very steep commission to the Online Travel Agencies in order to display their product there. As a result, they are making much less money on those sales than if they booked directly with a customer or via a professional travel agency — where they pay a set commission. So when you book a hotel through an Online Travel Agency, you don’t get the best room in the house because of this low profit margin. BUT when you book with EnvyTrip, our travel professionals have great existing relationships with these travel suppliers and can always get the best available rooms, airline seats, and more for you. How are consumers matched to travel professionals? Travel professionals who register with EnvyTrip, let us know their areas of specialty (e.g., honeymoons, destination wedding travel, family travel, adventure travel, etc.) 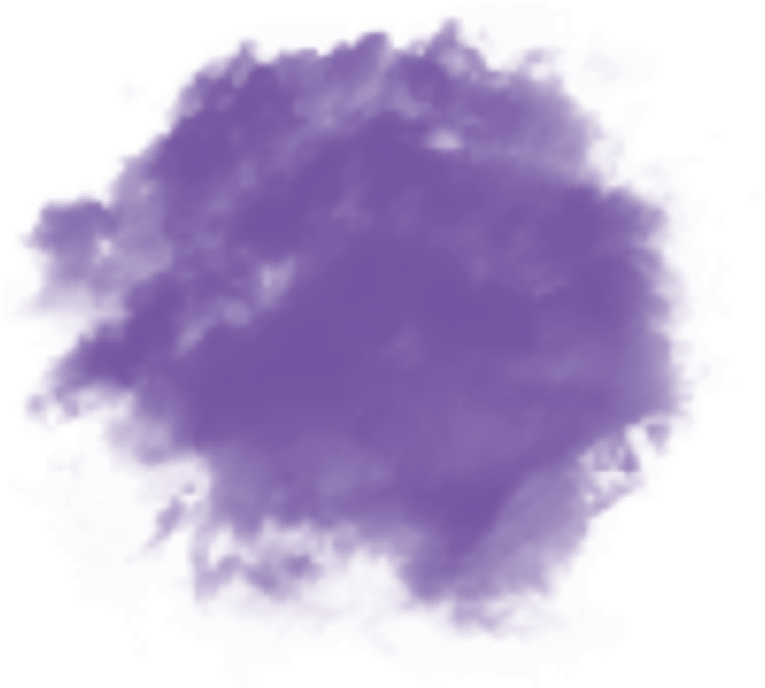 and we will match you with the most appropriate travel professionals based on the type of trip you want to create. Do I receive just one quote for my vacation? No! You’ll receive multiple offers from travel professionals who specialize in the type of trip you are taking (e.g., honeymoon, family vacation, etc.) and you get to choose to work with the agent who provided you with the quote that looks best to you. How do I communicate with the travel professional? Whatever works best for you. You can communicate via text message through the app, e-mail, or telephone call. EnvyTrip has been designed to encourage communication in the manner which best fits your lifestyle. Is the EnvyTrip technology easy to use? Yes! If you can navigate your smart phone, you can use EnvyTrip. Just a few taps and you’re on your way to planning a great vacation. Simply watch the video below for details on how it works. Can I invite my travel companions to participate in the planning process? Of course! 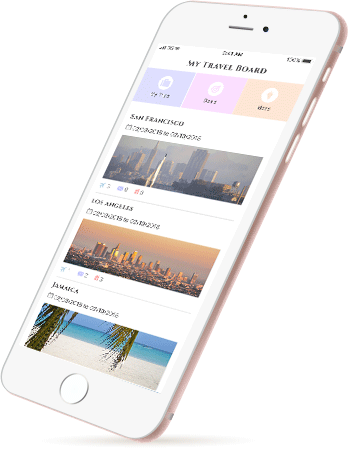 As soon as you create a trip on your app or on the website, you can immediately invite your travel companions to the trip. This way they are also alerted when travel professionals start sending you quotes for your trip. What happens after I select the vacation package I want to buy? You communicate with the travel professional who offered you that quote and then work out all of the details to book that vacation. You pay them directly and they will then provide you with an interactive itinerary, which will have all of your travel details, maps of your hotel, etc., and everything else that is necessary for your vacation. Then just pack your bags and go enjoy your vacation! Can I share my feedback about the travel professional I used? Yes of course! 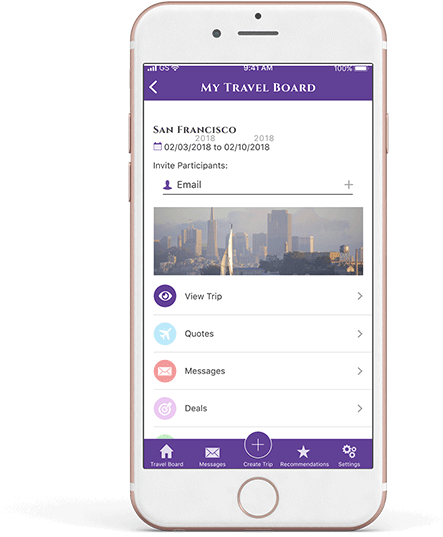 Our app provides the opportunity to share a review about the travel professional and you can also share photos of your vacation. Can I request a specific travel agent who is a member of EnvyTrip? Yes! If you are following the social profile of an agent on EnvyTrip and you like an offer they are sharing about, you can request a travel quote directly from them. 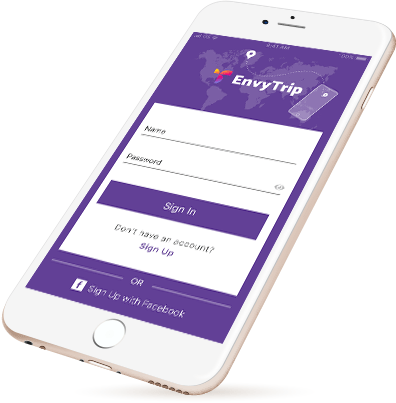 You can even encourage your own travel agent to join EnvyTrip and work with them via our app if it is more convenient for you to converse online versus over the phone. How does EnvyTrip’s social media component work? EnvyTrip will have a robust social media component that focuses solely on the travel space. Travel agents will create pages where they will make posts about travel deals, provide travel tips, feature specials their agency is running, and much more and they will be delivered to you if you choose to follow them. If your passion is travel, this will be the only travel-oriented social media channel of its kind where you can find out great deals on travel, learn about new hotels and tours, and much more. EnvyTrip was created by a traveling Dad who was tired of the hassles of booking vacations for his family and friends. By the time he scoured the Online Travel Agencies for the best deals on hotels and airfare and shared the details with his friends, the airline tickets and the hotels were already sold out and he had to start over. The EnvyTrip app has been designed to make travel planning easier by sourcing out the best travel professionals who can help you plan your vacation with state-of-the-art technology to enable you to connect with agents who specialize in the type of vacation you want to take (family travel, destination wedding, romantic getaway, etc.) and design your entire trip right from the convenience of your smart phone. EnvyTrip mobile will be released shortly. Please enter your email below and we will notify you of the release date. Thank You and we look forward to help you plan your travels!